Importance of sight lines- A must know. 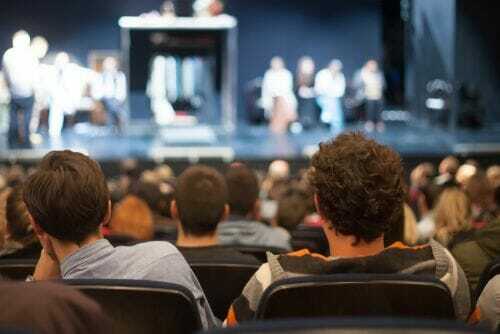 Being a theatre director isn’t easy: there are many different aspects to creating a first-rate live performance, and lot of people don’t realise the amount of work that is involved. Even something as simple as ensuring your audience has a good view of the stage needs skill and technical know-how. You can’t edit a live performance, so you need to take the size and seating arrangement of your venue into account. This is where “sight lines” come into play. In this article, let’s find out what is the importance of sight lines. Essentially, sight lines refer to what your audience sees on-stage. If you haven’t thought about sight lines, chances are view from particular seats will be blocked by other theatregoers, the set or technical equipment. At the simplest level, there are two sightlines to take into consideration: the vertical and the horizontal. Ensuring all your patrons have an unobstructed view of the stage begins by creating a clear plan of what your theatre and stage will look like. With some basic geometry and theatre planning, you’ll be able to work out the sight lines and potential problems. On the horizontal line, you need to consider your audience’s view of the stage and whether it’s blocked by stage curtains, parts of the set or the heads of other patrons. By planning your seating correctly, this won’t be a problem. Smaller venues can arrange to seat in such a way that each member of the audience looks between the heads of people in front of them. In a larger theatre, raised or tiered seating is often required. If you plan your horizontal sight line, you are also able to ensure that your patrons can’t see into the back-stage areas. There are more factors to consider with the vertical sight line, and it gets more complicated when you have raised seating areas and balconies. You want to make sure that the sight lines aren’t blocked by the curtains, but you also want to mask the lighting, rigging and other stage equipment. Although planning your sight lines may seem complicated at first, practice makes perfect. At the end of the day, it’s just another element that that goes into creating the magic of great theatre. Designing your venue’s layout and seating helps, but you can also achieve a lot with legs, borders and tabs. These can all give you a lot of control over what your audience sees on stage. If you’re new to planning sight lines, be patient, keep it basic and you’ll pick it up as you go along.